I’ve already shared how to make vanilla extract and orange extract. Today, I’m showing off my newly made homemade mint extract. And it’s just as easy to do! For starters, you’ll only need some vodka, fresh mint leaves and a jar. Place your mint leaves in the jar, pour in the vodka and let time work it’s magic. 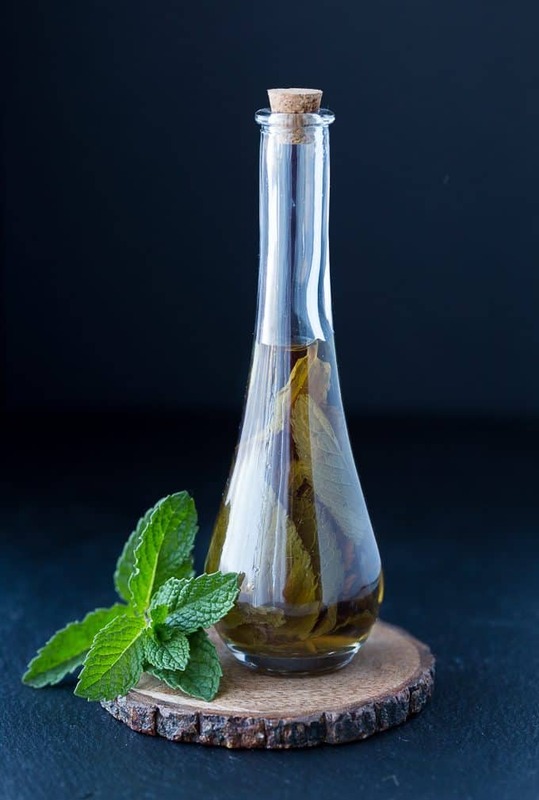 In 6 weeks, you’ll have homemade mint extract that you can now use in your recipes. Hello mint chocolate! This homemade extract is easy to make and makes a lovely DIY gift! Add mint leaves to a jar. Pour in vodka. Seal and let sit at room temperature for 6 weeks. Shake once per week. Give it a try at home and make some for yourself to use or give it away as a gift. It’s something that doesn’t cost a lot to make especially if you already have the vodka in your liquor cabinet. I rarely drink so I had a bottle that was going to waste. Can you see a theme here – vodka + ingredient = extract. What other extracts do you suggest I try? Thanks for yet another great recipe,i have the Orange on and it smells so good ! Making all of these extracts and putting them together as a gift would be very nice. We grow our own mint so totally could do this next summer! Wow, I love mint chocolate and mint flavoured ice cream too, you could use this in fondant too. Looks like I’m going to have to buy some vodka after all. These seem lovely – I was thinking making some for christmas gifts. How long will they last? Great idea! I wonder if this would work with dried mint leaves too? If you do, use more since they won’t be as potent as fresh. That’s an awesome gift idea. 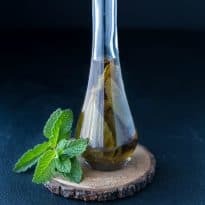 I’ve never bought mint extract but would make this homemade version. I followed your instructions for homemade vanilla extract and it’s wonderful, so I will definitely make the homemade mint extract as well. Thanks for sharing! We have done this with vanilla but never with mint. I will have to give this a try! thanks for sharing and have a great week! 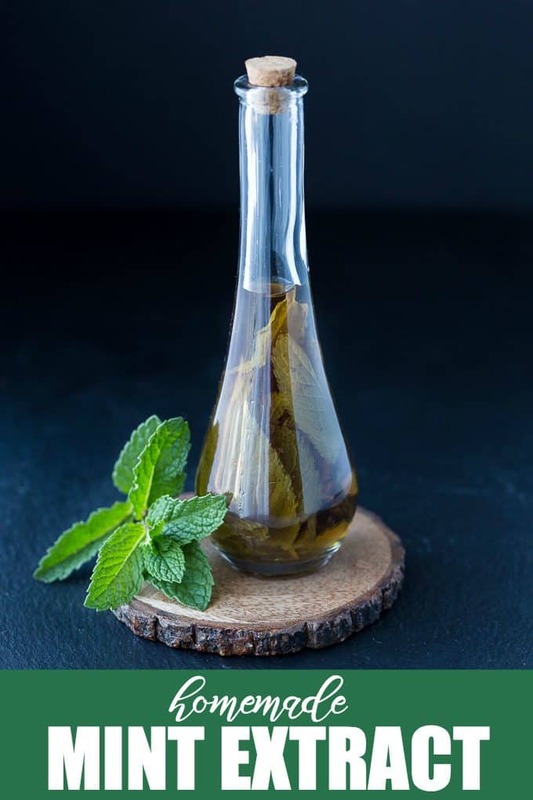 I don’t use mint extract very often but this is a great simple recipe for those who do. I din’t know it could be this easy. I love mint. I’ll try this! Hi! I’m here from the Thursday Favorite Things Blog Hop. This is great! I grow mint. It’s one of the few things I can keep alive! My husband handles all of our other crops…so we have food 🙂 I’m always looking for things to do with the mint. Thanks for the idea! This sounds amazing, and I have never make a homemade extract. I would love to make this recipe.